but where should I set it? “What is the meaning of its reaching every place?” asked the monk. The master only fanned himself. The monk bowed deeply. Master Ryokan is probably referring to the story of Pao-ch’e and the monk in his poem. The monk asked Pao-ch’e about the relationship between our essential buddha nature and practicing. Buddha nature means we are all in a family relationship…the whole world is making effort to enact life. This life is always present, but if we are to bring forth the beauty of our family situation, we must engage with our life and the lives of others. It is only through actually doing practice that our (and all beings) can enjoy this life. This practice is called “fanning.” Where is the breeze created by fanning when we are not swishing the fan back and forth? Is it gone? Is it always available? The state of buddha nature (breeze) is always present, but the activity of practice (fanning) is necessary in order to enact wisdom and compassion (raise and move the air). In Ryokan’s poem, he is expressing his frustration with his practice. Ryokan was a great Zen master so it is heartening to hear that he too sometimes felt discouraged. I think it is human nature to say “I need a rest!” If we feel that fanning is too hard, we should look at how we are engaged in our effort. But there is also the last line of Ryokan’s poem which expresses a deep faith in practice. He asks “But where should I set it down?” We can’t set it down. Our life calls to us to pick up the fan, keep going. Since our practice goes on endlessly, we want to find a way to do this practice that is sustainable. How we make effort is sometimes a great koan. If we push too hard and are critical of our effort, it sets us back. If we make too little effort we do not progress. Examining the “how” of our activity is key to maintaining our effort. Please be kind to yourself and others…but not too lazy! “Appearing before my eyes is wondrous suchness. Outside of this reality, why trouble dividing true from false? Seeing colors, hearing sounds, both fully verify it. Dogen is addressing a monk named Wondrous Suchness. But don’t stop there, aren’t you, with all beings wondrous suchness as well? Seeing the colors and hearing the sounds of the world, verifying each and everything thing. The true nature of no-self is to understand one’s place in and with the whole world. What or who steps forward? What or who turns within? Isn’t this the yin and yang of each being? Do we step forward? Or turn inward? Both? What do you see? Who or what verifies and joins us? Like Kannon, who hears the cries of the world, the world cries out the Buddha Way. Aren’t “wondrous suchness” and “softly crying” both the Buddha’s Way? How human to seek one and reject the other. Yet there is no difference. One arises, one fades, both come and go. Wondrous Suchness! Crying out the Way. Happy New Year! Jaku suggested we follow the Japanese custom of writing a death poem on New Year’s and read them during our New Year’s Eve celebration at Ocean Gate Zendo. * In Japan, you are 1 year old upon birth. **Yellow Springs is the realm of the dead. What can we say? How do we express our wisdom? A death poem puts it all together, as we understand it just now. “We have to begin the change at the individual level and then move on to [our] neighborhood and society.”The Dalai Lama’s response to the Paris attacks as reported in the Hindustan Times. Shinshu’s Commentary: A couple of weeks ago I was watching Charlie Rose interview Russell Crow on TV. Russell Crow made the comment that he had no regrets because regrets were ways that we learn about our life. If we learn a lesson from our mistakes; then what is to regret? For this reason he doesn’t harbor regret about past actions. Shantideva says something similar in the Guide to A Bodhisattva’s life. He wrote: Why be unhappy about something if it can be remedied? And what is the use of being unhappy about something if it cannot be remedied?” A little tough love from Shantideva. Regrets are about looking back at a decision we’ve made in the past and wishing we’d done something else. Dictionary.com has various synonyms: sorrow, remorse, loss, fault, and disappointment. What a mental burden to carry around such disheartening emotions. Yet, we do. The antidote to this is surely looking at these situations/decisions from the past and taking up Shantideva’s and Crow’s advice. What have we learned? If we have changed, then we might explore focusing on the present and seeing our regrets as a positive – as a kind of atonement. This is in the ballpark of Shantideva’s “what is the use of being unhappy?’ but with a positive spin. Why not turn our remorse into a moment of growth and appreciation? We make amends for what we can, we remember that we might want to change our response in the future. We can’t go back. It’s not possible. We can only go forward with what we know. Going forward is the immediate present. Dogen wrote to the effect that no matter how long we have been doing something, it is only this moment that defines our experience. If we own this thought moment, we see that it becomes the totality of our experience. Even if we are on our deathbed, if we can find gratitude for this moment, where is the regret? The gate of skillful means is not a temporary art. It is the study of the entire world of the ten direction….If you try to help others go in and out of the gate, it moves farther away. 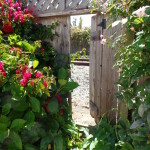 If you have a gate that accepts others, it is possible for them to go in and out. Being skillful in our relationships is not an expedient means to get people to do what we want. If that is our motivation, or has been a motivation, it is important that we rethink that as a strategy. Since our practice is based upon the teaching that we are all one family; (“the entire world of the ten directions”) that should be the basis of our motivation and investigation. To “help others go in and out of the gate” in this case, seems to point to our tendency to make up standards for the other person, which might lead to judgment on our part. None of us respond to harsh criticism. We want to look at the core of our motivation – thoughts – and find a way to think about others with kindness. 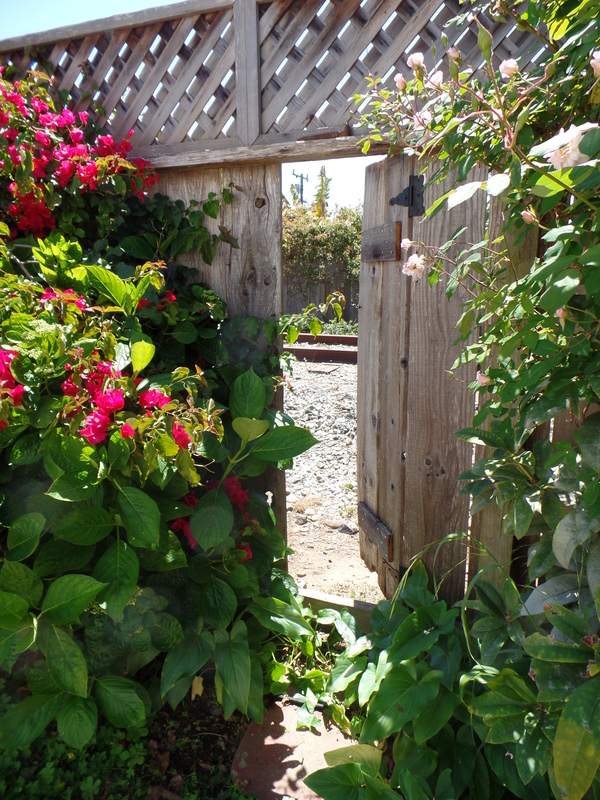 This is “a gate that accepts others.” When we and others feel acceptance we are more willing to explore a situation and chance the possibility of failure or difficulty. We want to extend our kind mind to both ourselves and others, because when we are unkind to others it is often a reflection of how we treat ourselves. When we talk too much we can’t hear what the other person is saying. We only hear our own mind. When we can’t hear what the other person knows we rob ourselves of a broader worldview. We may diminish our connection and muddy our wisdom. Don’t think when someone else is talking….just listen. Don’t anticipate and form your response…just listen. Listening is a full-bodied activity. Listen with your pores, listen with your eyes, listen with your heart as well as your mind. The trees speak with the wind, the humming bird whirls past, ants part the grass and raccoons wait for nightfall. Listen, and you will be wiser for it and your heart may open. Dogen is addressing a monk named Wondrous Suchness. But don’t stop there, aren’t you with all beings wondrous suchness as well? In line three, I believe Dogen is verifying our human state as part of this whole world. And the whole world verifies each and everything thing. The true nature of no-self is to understand one’s place in and with the whole world. There was a big boulder in the Tassajara creek that Suzuki Roshi said he wanted for his rock garden. Every day four or five of us went down to the creek during the silent work period and struggled to move the boulder by various devices and means. Each one of us was secure in the knowledge that somehow we were going to move that stone to his rock garden, which was quite a distance away. After a week the rock hadn’t budged, but no one was about to break the silence or give up. One day Suzuki Roshi came down to the creek and struggled along with us. Some visitors called down from the bridge to ask what we were doing. We hear a lot about “don’t know” in Zen. What kind of “don’t know” is this? When we have a problem that just doesn’t seem to have an answer “don’t know” is the place to be. When we are beside ourselves and can’t find any solution, then “don’t know.” Why? “Don’t know” is an open mind, a ready mind, a relaxed mind. “Don’t know” is saying “I don’t know.” When we can admit that, a certain ease may come. We may look to others and consider and see what we had not seen before. Suzuki Roshi worked with his students with a sense of solidarity and perhaps he thought he could help. His help was probably practical, but his humor and “don’t know” was the teaching. Maybe the rock is a metaphor for our life. We do this, we do that. Is it moving? Is it helping? What kind of mind do we bring to this life? Is it fixed? Is it rigid? Does it matter if the rock is moved? Maybe, maybe not. We always come back to the circumstances. But whatever the circumstances, the mind of “don’t know” will always be helpful. Did the rock ever make it to the garden, “I don’t know.” But, I suspect it did.